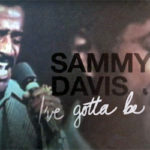 This page lists performances by Sammy Davis, Jr. which were recorded for use on film, or were recorded during television appearances. Visit Yes, I Can: Sammy’s Recording Career for background information to these sessions, and more information about Sammy on vinyl. This performance from Sammy Davis, Jr's first film role, at age 7, in a 21min Vitaphone short called "Rufus Jones for President". 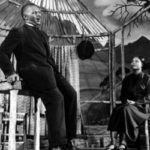 Inamongst promoting distasteful racial cliches, the short features Sammy as the title character, who dreams he is elected President of the United States, and Ethel Waters as Rufus' mother. The matrix number noted is that given to the title by MGM, when the recording was used in both a 1973 television special titled "Sammy", and the MGM LP soundtrack of the special released subsequently. This performance from a 19min short film from Paramount's Musical Parade Featurette Series #4, titled "Sweet and Low" in which a husband and wife throw a masquerade party at their home, with various people and groups coming by and performing, including the Will Maston Trio. Sammy Davis, Sr. (bkv) on a; Will Mastin (bkv) on a. These performances are from a live episode of the "Colgate Summer Comedy Hour". Other guests included Gene Sheldon, Jay Lawrence and Connie Russell. In a couple of segments, Sammy plays the drums. The whole episode is available on VHS, as well as from vintage TV sellers over the internet. This performance was recorded for the opening credits of the 1955 Universal movie "Six Bridges To Cross", which starred Tony Curtis and Sal Mineo. Sammy later re-recorded the song for release as a Decca single. Recording featured in the MGM musical "Meet Me In Las Vegas", as the accompaniment to a ballet performance by Cyd Charisse's character. Sammy does not appear onscreen. Sammy later re-recorded the song for release as a Decca single. Performed during Sammy Davis, Jr.'s guest appearance on "The Frank Sinatra Show". This performance recorded for the opening credits of the UA movie "Anna Lucasta", which starred Sammy alongside Eartha Kitt. Sammy later re-recorded the song for release as a Decca single. Special lyrics by Sammy Cahn were added to "Horray For Hollywood" for this performance, which was a faux 'live' performance used in the 1960 film "Pepe". Joey Bishop (v) on a; The Tom Hansen Dancers (v) on a; Peter Lawford (v) on d; Frank Sinatra (v) on a; Nancy Sinatra (v) on a. Performances from Sammy Davis, Jr.'s guest appearance on "The Frank Sinatra Timex Show", which featured the return of Elvis Presley from his national service. In addition, Sammy and Peter Lawford performed a dance routine, while Sammy did a segment preceding "All The Way" featuring impressions of actors. Performed during Sammy Davis, Jr.'s guest appearance on "The Ed Sullivan Show" that aired June 14, 1964. "My Kind Of Town" featured special lyrics making Manhattan the subject rather than Chicago. These performances from an episode of "Hullabaloo", for which Sammy Davis, Jr. was guest host. In addition to the songs listed, Sammy performed impressions of various celebrities with Marilyn Michaels in one segment, and in another segment, did a dance routine and sang selected songs from "West Side Story" with Joey Heatherton. b, c, d; f, g, h, i, j performed as medleys. Jay and The Americans (v) on d; The Animals (v) on c-d; Lola Falana (v) on d, g-h; Bruce Scott (v) on d; Dusty Springfield (v) on d.
These performances from an episode of "Hullabaloo", for which Sammy Davis, Jr. was guest host. Sammy took part in the 'Top Pop Medley' (b, c and d), which, in addition to those noted above, contained performances by Jay and The Americans ("I Feel Fine"), The Animals and Sammy (singing other songs from "My Fair Lady"), Lola Falana ("Goldfinger"), Bruce Scott ("You've Lost That Loving Feeling" and Dusty Springfield ("Can't You Hear My Heart Beat"). Diana Ross and The Supremes (v) on b-c. These performances from an episode of "Hullabaloo", for which Sammy Davis, Jr. was guest host. Sammy took part in the 'Top Pop Medley' (e and d) which also contained performances by The Lovin' Spoonful ("Help"), Diana Ross and The Supremes ("I Can't Help Myself") and Sonny & Cher ("Satisfaction"). a, b, c, d, e, f, g, h, i, j, k, l performed as medley. Sammy Davis, Jr. (v) on a, c-e, g, i, k-l; Frank Sinatra (v) on b, d, f, h, j-l.
A medley performed during Frank Sinatra's guest appearance on an hour-long ABC Television Special called "Sammy Davis, Jr. And His Friends", which aired February 1st, 1966. Recording featured in the animated TV movie "Alice In Wonderland", which aired March 30, 1966.
a, b, c, d, e, f, g, h, i, j, k, l, m, n, o, p, q, r performed as medley. Sammy Davis, Jr. (v) on a-d, f-i, k-r; Judy Garland (v) on a-c, e, g, j-o, q-r.
A medley performed during one of Judy Garland's two guest appearances on "The Sammy Davis, Jr. Show". They aired March 18 and 25, 1966.
a, b, c, d, e, f, g, h, i, j, k, l, m, n, o performed as medley. These two recordings were made for the motion picture "A Man Called Adam", which filmed in November 1965 and was released in August 1966. Even though Reprise released the soundtrack album, curiously the titles do not appear in Reprise's official listing of Davis masters. Davis later re-recorded "Whisper To One" in June 1966, which remained unissued until 2005.
a, b, c, d, e, f, g, h, i, j performed as medley. George Rhodes (arr) on a-k, m-r, (con) on a-k, m-r; Sammy Davis, Jr. (v) on a-k, m-r, (tap) on o. This was the final (barnstorming!) episode of "The Sammy Davis, Jr. Show", which taped early April and aired 22nd April, 1966. "Ya Got Trouble" saw Sammy miming to Robert Preston's original vocal recording. "I Remember It Well" contained custom-written lyrics lamenting the show's troubled run on NBC. These performances from the 1968 movie "Salt And Pepper". Decca 732470 features an instumental "The Pompeii Club" on flip side of "Rhythm Of Life". Decca 734605 features two versions of "Rhythm Of Life", one 3:53, the other 3:00. These performances from the 1970 movie "One More Time". Sammy Davis, Sr. (spk) on e-h. These performances are from the television special "Sammy", which was filmed in London for the Independent Television Corporation (ITC). The special aired in the US in November. The "Porgy and Bess" medley (e, f, g, h) on screen also contains Sammy singing "Oh Lawd, I'm On My Way" in a split-screen duet with himself simultaneously singing "There's A Boat Dat's Leavin' Soon For New York". For the LP release this was not included. Recording of the opening theme for television show "Baretta". a, b, c, d, e, f, g, h, i, j, k, l, m, n, o, p; r, s, t, u, v, w performed as medleys. Carol Burnett (v) on a-c, e, i-k, o-p; Sammy Davis, Jr. (v) on a-c, f, h, o-w; Eydie Gorme (v) on a-d, f, j-k, n, p; Steve Lawrence (v) on a-e, g, l-m, p, r-w. Performed during the NBC Television special "Steve & Eydie and Friends Celebrate Irving Berlin", which was one of three similar specials honouring composers. Guests for this special were Davis, Carol Burnett and Oscar Peterson. The show was broadcast on August 22, 1978, and won multiple Emmy Awards, including 'Outstanding Comedy-Variety or Music Program'. k, l, m, n, o, p performed as medley. This performance was the closing night of Davis' run in Melbourne. It was filmed and broadcast on Australian televison by Channel Nine as "Sammy Davis Jr In Concert". The show was hosted by Don Lane, and featured in interview with Davis in his dressing room before the show. Recording of a musical number for the animated feature film "Heidi's Song", in which Sammy played the 'Head Ratte'. Recording of a musical number for the 1985 TV movie "Alice In Wonderland", in which Sammy played 'The Caterpillar'. Sammy taped his sequence following his month-long engagement at the Desert Inn in March/April, 1985. Recording of the opening theme for television show "Hell Town", which premiered in September 1985. Recording of musical numbers for the film "Moon Over Parador", in which Sammy played himself. "Besame Mucho" features new lyrics acting as the fictional Parador's national anthem. Neither of these recordings made it onto the movie's soundtrack release.